Scrap metal is an often underestimated but valuable byproduct of today’s manufacturing processes. 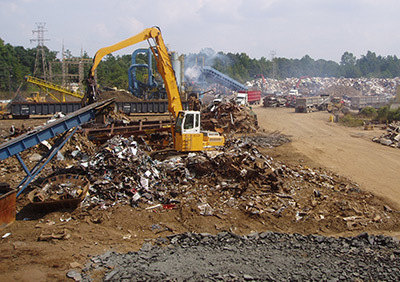 Whether ferrous or nonferrous scrap products, both represent a continuing and significant cost savings for many businesses and industries. Southern Metals Company recognizes the importance of these recyclable products to your company’s earnings picture, and we have developed a variety of flexible strategies aimed at maximizing your profits. While our goals remain essentially unchanged, we have kept up with today’s technology. We have the most modern equipment available in the industry, giving us distinct advantages over others. Our technology allows us to tailor our services to each individual customer’s needs.